Think your small restaurant's insurance policy covers all the damage caused by fire? As the headlines read, "It could have been much worse." 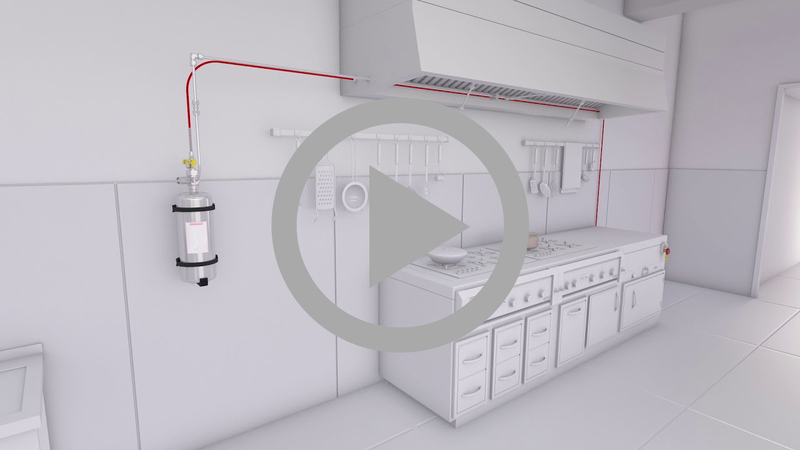 Could a new generation of automatic fire suppression systems for small-to-medium size commercial kitchens have made a big enough difference? Here's what we do know. When fire ripped through Guppies Hot Rod Grill in Twin Falls, Idaho this past September, it could have put an entire city block at risk. The restaurant, one of several businesses on Main Avenue, appears to have been the origination point for a fire that took firefighters from three departments nearly five hours to contain. According to local news reports, the fire is thought to have started in or near the kitchen area, resulting in as much as $350,000 in damage to the restaurant. Thankfully, surrounding businesses ended up sustaining only minor damage, including a lingering odor from smoke, and some broken windows where fire crews had to force their way in, presumably to surround and contain the fire at Guppies. Score a big win for the fire crew—and for this close knit neighborhood. But the incident should raise questions for any small-to-medium size restaurant: What would your insurance policy really cover? Would it be enough? And could new fire systems made specifically for restaurants like yours protect against that kind of disaster? Regardless of whether the fire at Guppies started in the kitchen or elsewhere, it shouldn't be a surprise that restaurants face a disproportionate risk of fire compared to other businesses. And yes, a lot of that risk does indeed involve the kitchen. Hot surfaces, grease, oil and open flames can have that effect. 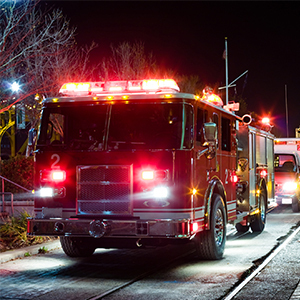 While exact figures are hard to come by, it's estimated that restaurants account for roughly 6% of all nonresidential building fires every year. And 57% of those fires directly involve food cooking equipment. The average loss per establishment is a hefty US$23,000. And it can go much higher. But here's the thing. Most of these losses are preventable. In many countries, complying with local fire codes and insurance policy requirements means commercial kitchens must be equipped with proper fire protection, including an automatic fire suppression system. So, what are small-to-medium size restaurants to do? 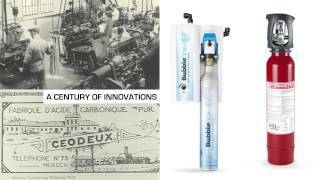 How do they find a simple and effective automatic fire suppression system that fits their needs? Enter: a new generation of automatic fire detection and suppression systems specifically designed for commercial kitchens like yours. 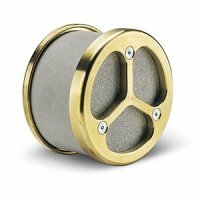 When checking out your options, a few words of advice: Forget trying to piece together complicated components in hopes of maximizing savings. Penny wise, more than a few pounds foolish. It's much more time-effective to narrow your search to complete automatic fire detection and suppression systems that have been pre-engineered for small-to-medium size commercial kitchens. Ideally, you want a system that's space efficient, and requires little if any maintenance. 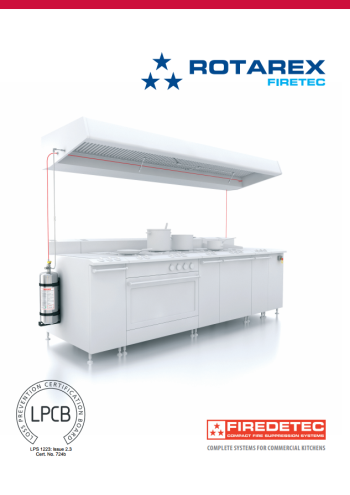 The FireDETEC system from Rotarex Firetec, for instance, features a continuous and flexible pneumatic sensor tube that is easily installed directly inside the stove's extractor hood, and is designed for a three-nozzle configuration to protect two cooking zones and one hood. Unlike systems with electronic or thermal bulb sensors, the entire tube is a pressurized sensor. If a flame-up occurs, the tube uses pneumatic technology to detect it and burst at the hottest spot closest to the fire, opening a valve and flooding the cooking area with extinguishing agent. The fire is snuffed out moments after it begins, so you're back to work quickly. Available in configurations for small-to-medium size kitchens, the FireDETEC system doesn't require electricity and has no moving parts, so it's always ready for action. Giving yourself a false sense of security isn't going to do you any good, so insist on high-quality equipment. Look for compact fire detection and suppression systems that are approved by the Loss Prevention Certification Board (LPCB), one of the leading international certification bodies in the fields of security and fire protection. Besides, in many countries, automatic fire systems are required, and it's a recommended best practice everywhere else. Which means if you have to buy one anyway, you may as well invest in an option that's expert-certified to help you keep losses and work stoppages from getting out of hand—or spreading to nearby businesses.